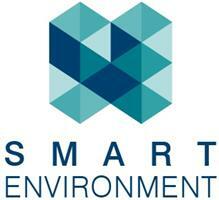 Smart Environment are Builders and General Contractors based in Golders Green, North West London. We are a One-Stop-Shop for all your home improvements, renovations and refurbishments, property maintenance, roofing and other building needs. We have over 10 years of experience in delivery of high quality services. As a fully vetted, registered and accredited UK company, we are a proud member of Federation of Master Builders. All our works are fully insured and guaranteed. We have £5,000,0000 insurance cover, and can arrange for Professional Indemnity (PI) where needed. With a simple e-mail or phone call we would be happy to provide you with a free detailed estimate & quotation. Long established company, trading since 2009. Trusted by Banks, Property Lenders, Architects and Quantity Surveyors. We have successfully delivered over 2,500 projects for private home owners, property companies, estate agencies, and property developers. All our technicians are very skilled, polite and proficient in their trades. You will have only one point of contact from beginning through end of your project. We are fully insured, Health and Safety Compliant, and issue Guarantee Certificate for our workmanship. We can arrange for Insurance Backed Guarantee for roofing, 10 years new homes guarantee, Building Control and all regulatory requirements. To see some of our works, please have a look at our projects gallery located on the bottom right of this page.